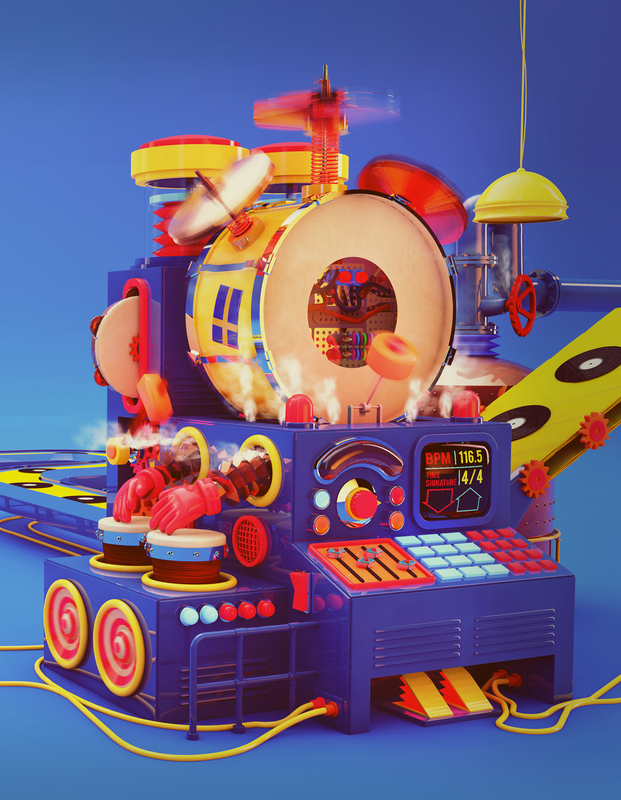 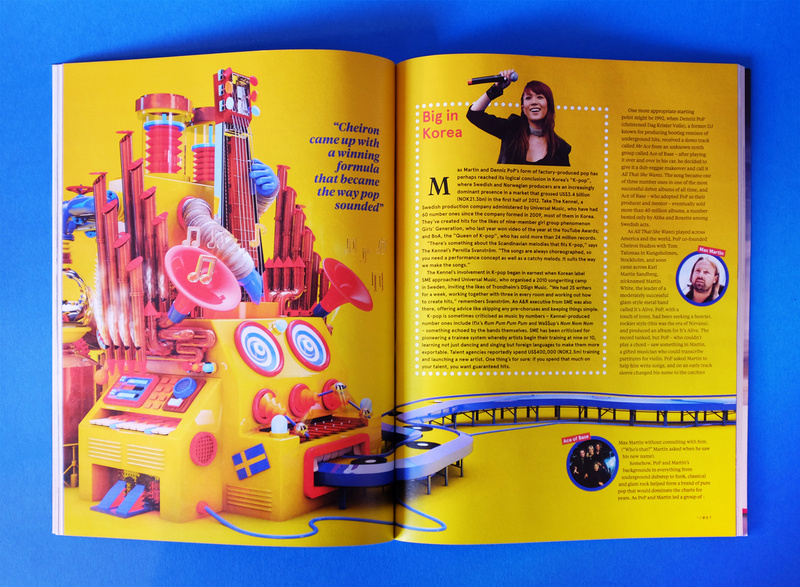 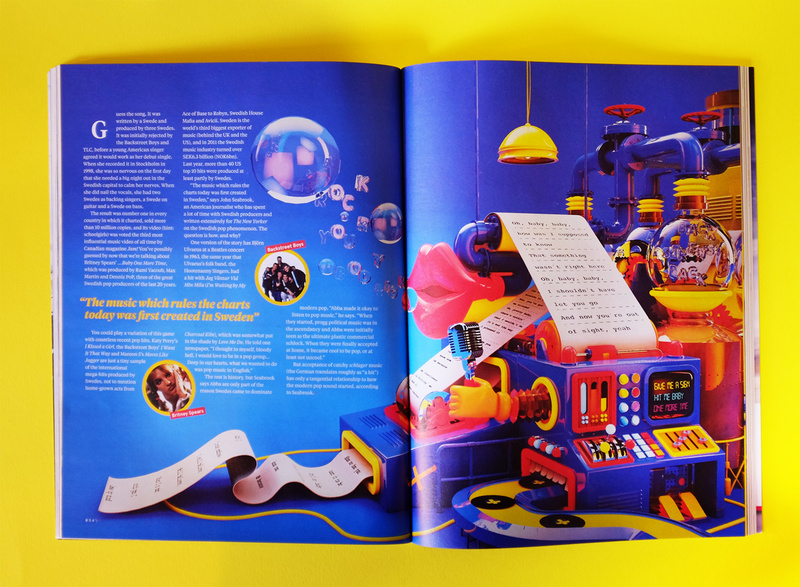 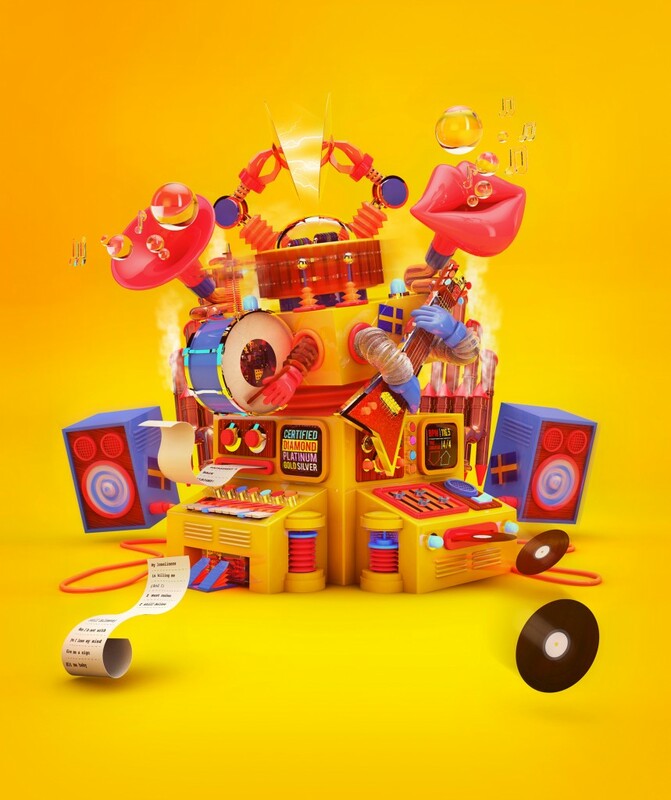 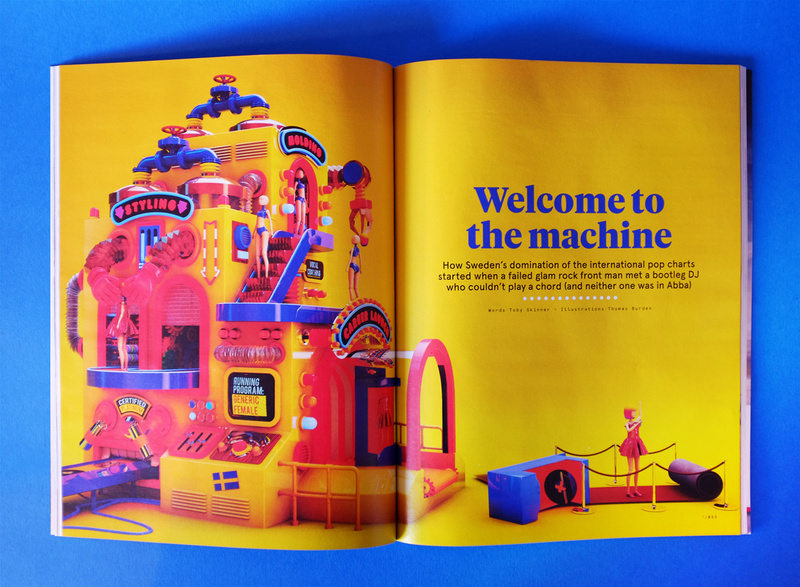 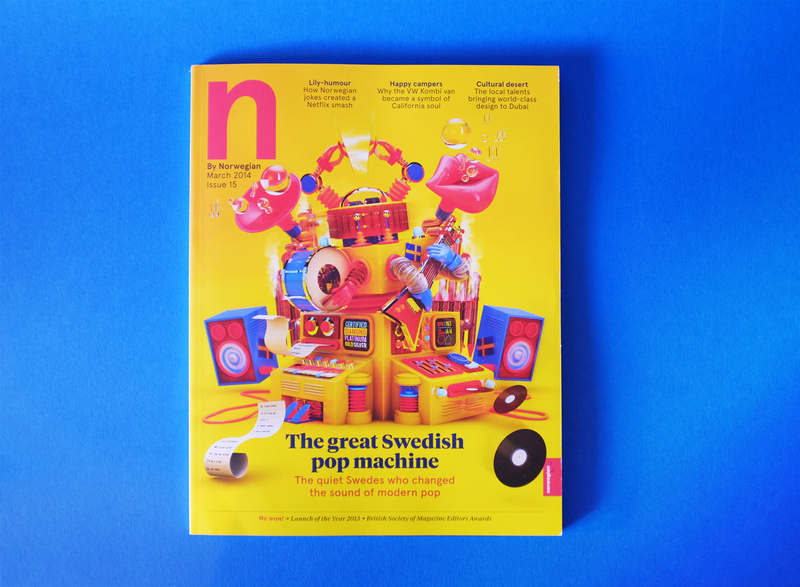 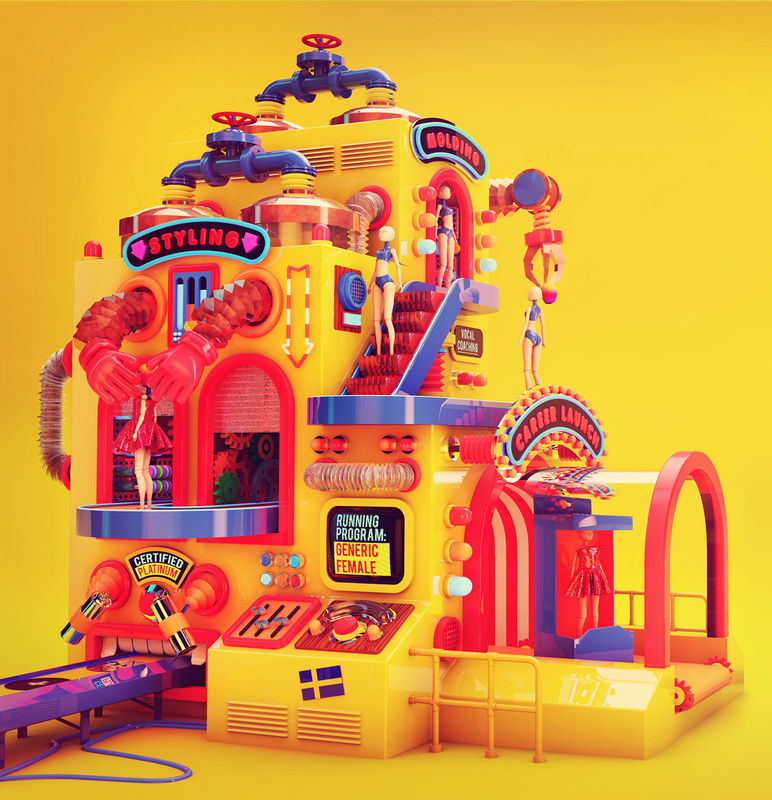 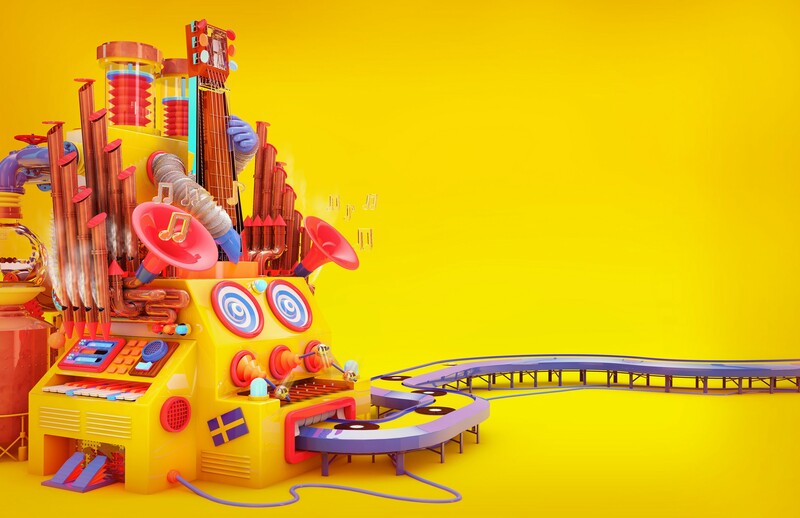 Our first of a few great projects for Norwegian Airline’s inflight magazine, N. To accompany the feature article on the proliferation of Swedish producers in pop music, we were tasked with creating a series of Swedish-themed musical contraptions. 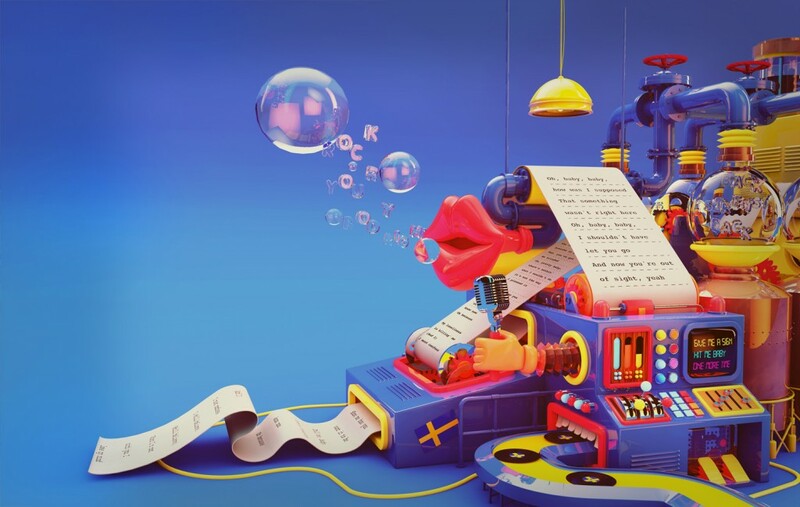 Each contraption represented a different part of the song, from the melody, lyrics, beat and the popstar themselves. 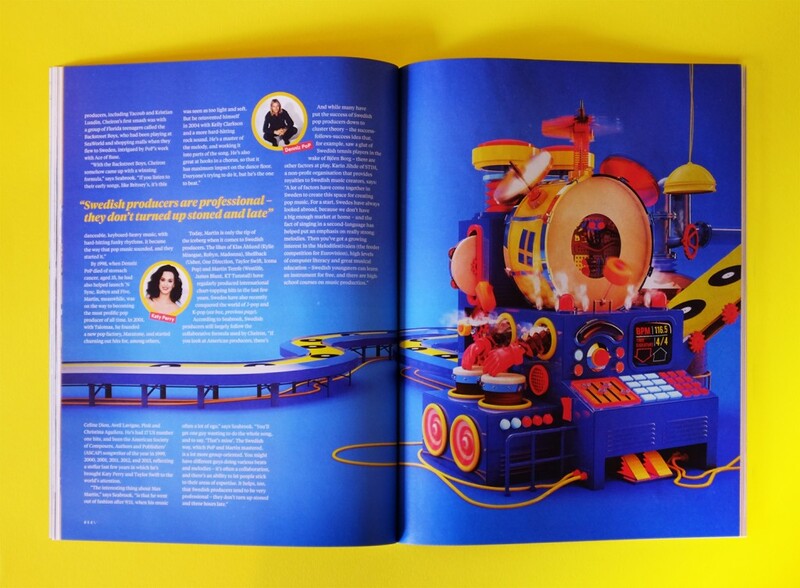 The best bits of all four parts were then amalgamated into one machine for the front cover image.